San Francisco -- The day before an election being conducted using proprietary voting systems using secret software from corporate vendors, San Francisco's three leading mayoral candidates and Supervisor Budget Chair Malia Cohen released calls to fund the San Francisco Elections Commission's request for $4 million in funding for the development of a publicly owned open-source voting system to process voter marked paper ballots. "California and San Francisco must lead the way to more secure and transparent elections with publicly owned open-source paper ballot voting systems," said Former Senator Mark Leno, the first mayoral candidate to publicly call for full funding. "That? ?â"¢s why when I was a Senator I authored the California DISCLOSE Act, and that? ?â"¢s why now I support funding the San Francisco Elections Commission request for $4 million to develop a publicly owned open-source paper ballot voting system. If elected mayor, I will ensure that the county allocates the funding it needs to develop an open-source voting system that everybody can trust." "For elections to be fair, they must be secure and transparent," said San Francisco Board of Supervisors President London Breed. "That? ?â"¢s why I support state matching funds to develop open-source paper ballot voting systems and have pushed the state to provide financial support for these efforts. The state has not come through yet, but if elected Mayor I will actively work with Supervisor Cohen, other elected leaders, and supporters to make local city funds available for the Elections Commission's request to start building an open-source system and will continue to work to get funds to fully develop the system ? ?â€ an investment that will dramatically reduce our costs in future elections." "I have long advocated for the City to end the costly use of licensed software throughout the City," said San Francisco Supervisor Jane Kim. "So I support funding the San Francisco Elections Commission request for $4 million in funding to start developing a publicly owned open-source paper ballot voting system and will work to fund full development of an open-source paper ballot voting system as mayor." Proprietary voting systems fundamentally lack transparency, counting votes using secret software. Worse, current private systems have repeatedly shown to be insecure. At the 2017 DEF CON security conference that tested proprietary voting systems "every piece of equipment â€¦ was effectively breached in some manner". Their report concluded it was a "national security threat". Open-source voting systems would be openly licensed and therefore transparent for public inspection. A San Francisco open-source system would save San Francisco and the entire state millions of dollars in licensing fees after it's certified. San Francisco Elections Commission President Roger Donaldson said in his June 1st letter on behalf of the Commission, "funding for development of an open source voting system in the amount of $4 million in Fiscal Year 2018-2019 is a commitment to both the integrity of our elections and fiscal responsibility." 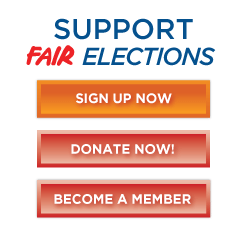 A major coalition has formed to push for development of open-source voting systems in California, with over 50 state, local, and national organizations supporting funding, ranging from reform groups like California Clean Money Campaign, California Common Cause, California Association of Voting Officials, and FairVote California, to national progressive activist organizations like Courage Campaign, DailyKos, and Progressive Democrats of America, and including most of the major political clubs in San Francisco. San Francisco Assemblymember David Chiu and Senator Scott Wiener sponsored a state budget request to help develop open-source voting systems. "At a time of crisis of confidence in our elections systems, San Francisco has the opportunity to lead California and the nation to more transparent and secure elections by rapidly finishing development and certification of its public, open-source paper ballot voting system", said Trent Lange, President of the California Clean Money Action Fund. "All counties will be able to build on the resulting system to lower costs and increase security and confidence in elections." "California and San Francisco must lead the way to more secure and transparent elections with publicly owned open-source paper ballot voting systems," said San Francisco Board of Supervisors Budget Chair Malia Cohen, the first city leader to support the Elections Commission's funding request. "That? ?â"¢s why I support funding the San Francisco Elections Commission request for $4 million to proceed with the open source voting system project."